Have you been sending out boring letters and packages without any flavor or flair? It's time to change all that! 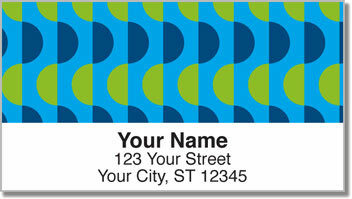 Make a 180-degree turn when you add these attractive address labels to your arsenal of office supplies! 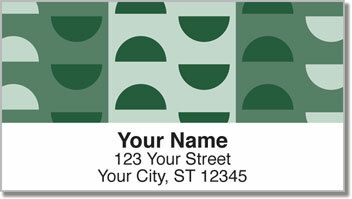 Any way you slice it...these return address labels will make your mail stand out. Four unique designs in four complementary color combinations create an eye-catching look for every envelope you stick in the mailbox! 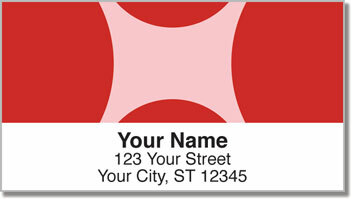 Semi Circle Address Labels from CheckAdvantage are also quite convenient. Save time and avoid the hassle of preparing outgoing mail by hand when you use these labels with a self-adhesive backing. Just peel and place! 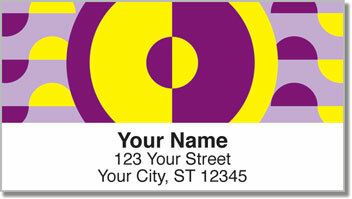 Order your very own Semi Circle Address Labels now! They're also available as matching checks.